Postal Connections provides exceptional packing, shipping, crate and freight forwarding, remanufactured ink/toner, mass mailing, secure shredding and over 35 more office/home products and services in the Harrisburg-Carlisle Metropolitan area. This includes the cities of Mechanicsburg, New Cumberland, Camp Hill, Carlisle and Harrisburg. You will receive time saving, cost- effective and knowledgeable help anytime you need to pack and ship an item, send a fax, make colored copies, have a crucial document notarized and much more. 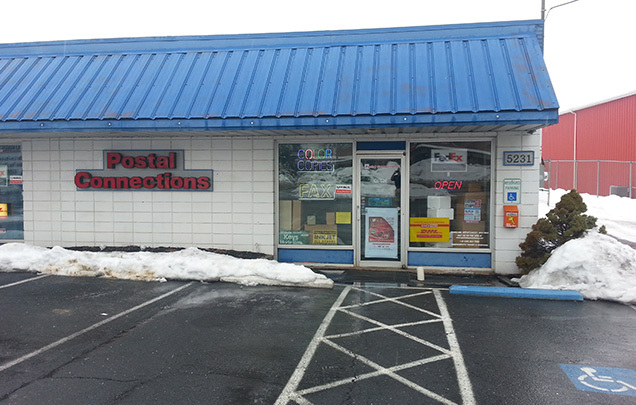 Postal Connections of America is a network of franchise stores serving people with packaging, shipping, mail receiving, fax sending or receiving, duplicating, notary/mobile notary, online access, packing & office supplies, as well as, numerous other services. We compete by adding personalized customer service to each transaction and offering alternatives in prices and shipping companies. We connect our communities to the rest of the world with the products & services we sell whether it’s for business or personal needs.